This weeks featured image from my Creative Sparks creative photography class comes from Jenna Lanam. 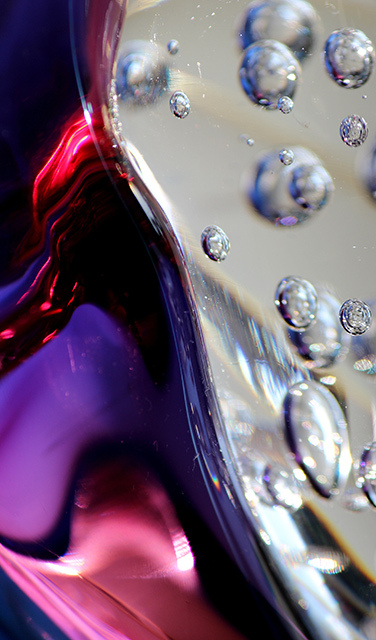 I’m immediately drawn to the vibrant colors and crystalized bubbles in this image. As I look closer the bubbles appear to be floating upwards from right to left contrasting the movement of the colors which seem to be moving from left to right. There’s also an interesting push-pull interaction between the colors and bubbles. The crisp bubbles push forwards at first but then they are pulled into the background as the saturated colors push to the foreground. An interesting effect creating lots of movement. I also like the contrast between representation and abstraction within the image.